In an age where art history’s questions are now expected to receive answers, Richard Shiff presents a challenging alternative. In this essential new addition to James Elkins’s series Theories of Modernism and Postmodernism in the Visual Arts, Richard Shiff embraces doubt as a critical tool and asks how particular histories of art have come to be. 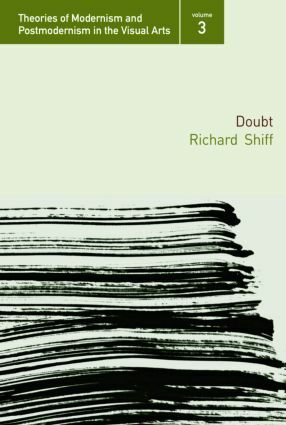 Shiff’s turn to doubt is not a retreat to relativism, but rather an insistence on clear thinking about art. In particular, Shiff takes issue with the style of self-referential art writing seemingly 'licensed' by Roland Barthes. With an introduction by Rosie Bennett, Doubt is a study of the tension between practicing art and practicing criticism.